Vericom® SOHO / Remote Office Cabinets are specifically designed for small offices and remote locations where space is a premium. Fully assembled and ready to deploy, they include all the features of a full-size server cabinet, conveniently sized to fit under or on top of a desk or counter. 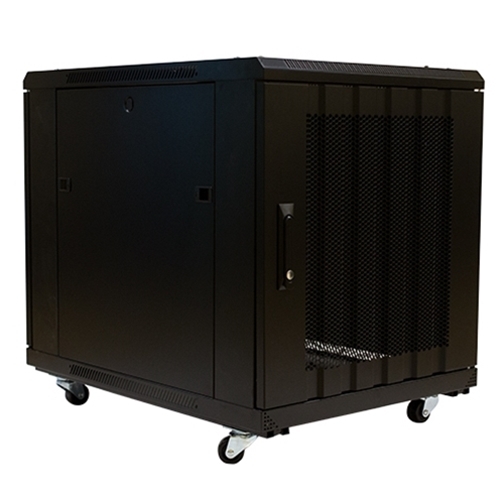 With a maximum rail depth of 29.5”, these cabinets are capable of storing servers, networking switches, and a variety of other security and AV equipment, while high-flow vented doors provide passive cooling to keep equipment from overheating.